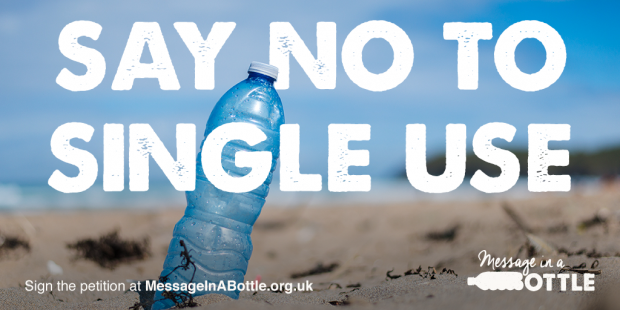 Surfers Against Sewage has launched the Message In A Bottle1 campaign calling for the introduction of a Deposit Return System for plastic bottles and other drinks containers across the UK. Each day we use a shocking 38.5 million plastic bottles2 and 59 million cans3 in the UK. Introducing a Deposit Return System would ensure these containers are kept in the recycling economy rather than allowed to pollute our precious blue and green environments. The Message In A Bottle campaign has three distinct actions. 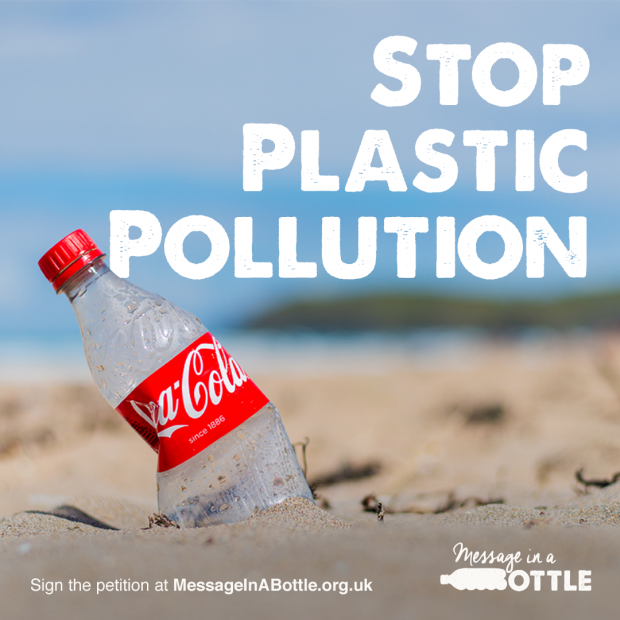 Firstly, a petition calling for Deposit Return Systems across the UK, which will be submitted to Surfers Against Sewage’s All Party Parliamentary Group4 and the devolved Governments in summer 2017. This will be followed by a traditional letter writing campaign targeting elected members of the UK parliaments calling for Deposit Return Systems to feature in National Litter Strategies5. Finally, social media actions will be aimed at reminding the brands responsible for producing these products that their bottles and cans often end up on our beaches and asking them to support Deposit Return Systems across the UK. In the last 12 months Surfers Against Sewage volunteers have collected over 20,000 single-use drinks containers at SAS beach cleaning events6. The Marine Conservation Society’s 2015 Beachwatch survey7 identified 159 plastic bottles for every mile of beach surveyed across the UK. There is also growing evidence exposing an alarming number of plastic bottles accumulating on the seabed8. Plastic bottles can take up to 450 years to break down9, eventually fragmenting into microscopic plastic fibers but remaining a threat to our environment and wildlife. Cleaning up litter costs taxpayers almost £1 billion a year in England10. A simple circular economy Deposit Return System could help almost eliminate plastic bottles and other containers littering our precious blue and green spaces11. This would reduce litter by almost 40%12 whilst ensuring these containers are returned to the manufacturer for reuse or recycling, protecting our environment, conserving a valuable resource and potentially delivering dramatic savings for small businesses and local authorities. How does a Deposit Return System work? A small deposit of between 10-20p is added to the purchase costs of drinks containers. Consumers are provided with ample opportunities to easily reclaim their deposit when they dispose of the product at collection points. This strategy has repeatedly proven to be an incredibly effective method of quickly changing behaviour, reducing littering and increasing recycling. Where do Deposit Return Systems work? Across Europe there are 150 million people living with successful Deposit Return Systems across 11 countries such as Germany, Sweden and the Netherlands and many more throughout America, Australia and other countries worldwide13 . The deposit added to containers won’t cost consumers a penny assuming they return the container – it’s simply an incentive to encourage responsible behaviour. Is a Deposit Return System just another tax? The consumer is given a clear choice, return the container and get the deposit back in full. Or don’t and lose your deposit. This is obviously not a tax as there is no such choice with paying taxes. Surfers Against Sewage’s Message In A Bottle campaign calls for the introduction of a nationwide deposit return system to protect our oceans, beaches and countryside from plastic pollution. Plastic bottles and other single-use containers litter our precious beaches and countryside in alarming numbers. Deposit return systems are a proven way of trapping these plastics and other materials in the economy rather than the environment, both conserving valuable resources and protecting our unique wild spaces. In countries where deposit return systems are already in place, up to 98% of plastic bottles are recovered for recycling, compared to around 56% here in the UK. The relatively small deposit of between 10-20p on bottles acts as an effective economic incentive, and won’t cost the customer anything when they return the container correctly. A deposit return system for the UK is the logical, effective and powerful next step in turning the tide on the marine litter crisis. With 38.5 million plastic bottles and 59 million cans being consumed every day in the UK, the need and urgency for more radical recycling and reuse action is growing by the day. Please support Surfers Against Sewage’s Message In A Bottle campaign today. « SAS delighted to be charity partner for Ocean Film Festival World Tour 2016.